Architects for Social Housing made the fantastic point that “our main opponent in this fight is not the Tories’ Housing and Planning Bill, which is yet to evict a single council resident, but the regeneration programmes implemented by the Labour Councils of Southwark, Lambeth, Lewisham, Greenwich, Newham, Tower Hamlets, Hackney, Haringey, Camden, Islington and Hammersmith & Fulham. Our latest housing leaflet is reproduced below, and is available on the CPGB-ML site. Half of Britons under 40 have given up on trying to buy a house, with only a quarter expected to own their home by 2025. Whatever happened to a ‘nation of homeowners’? The average wage in London is £28k a year, but first-time buyers need to earn £77k to qualify for a mortgage there. Nationally, the average wage required by lenders is lower, but still a prohibitive £41k. With house prices rising three times faster than wages, this gap is getting wider, so that each year 70,000 more people are priced out of the market – one third of them in London alone. 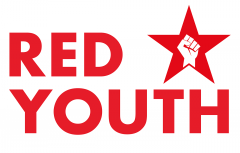 Young people needing a home today find there is no council housing available and are thus forced onto the mercy of a private rentals market in which rents are extortionate, conditions often poor and security nil. To even consider buying, not only do we need to earn above-average wages, but we often also have to look far away from work, friends and family. Commutes of well over an hour are now common. At the turn of the 20th century, the vast majority of workers rented from private landlords, with the poorest living in filthy slums or brutal workhouses. Council house provision was one of the working class’s main demands and construction began in earnest after WW2 – one of many concessions wrung from Britain’s rulers by militant workers, backed up by the example of the USSR, where socialist planning provided high quality homes, healthcare, education and more for free to all Soviet workers. During the peak years of social provision, average waits for a council house were between six months and three years, while council rents were just 20 percent of one person’s income. As the post-war boom came to an end, a new crisis of overproduction made the capitalists desperate for new sources of profit. With little resistance from a pacified, Labour-aligned working class leadership, secure housing was one of many rights to be steadily undermined, and 1980’s ‘right to buy’ led to the mass transfer of council houses to private landlords. While existing stocks slowly declined, construction of new council homes plunged from 185,000 in 1970 to just 19,380 in 1990 and dropped below 1,000 a year between 1999-2010. As a result, private rents have reached astronomical levels and council housing is like gold dust. The new housing bill paves the way for the sell-off of remaining stocks and leaves formerly secure tenants facing an uncertain future. The vast majority of new houses today are being built by private developers, in numbers that are far too low to meet the needs of all those in search of a home. Development for profit also leads to shoddy building practices, small room sizes, and inadequate provision of green spaces, community facilities, transport links and other amenities. One scheme offers 20 percent discount on small ‘starter homes’, but with an average sale price of £215k, these are way out of reach for most. Similarly, ‘help to buy’ offers a deposit loan of up to 20 percent of purchase price. Meanwhile, the pulling down of housing estates in desirable city-centre locations (so that the sites can be redeveloped commercially) is adding fuel to the fire. These demolitions are driving thousands of workers out of their previously secure homes and into the waiting arms of private landlords – driving up rents and pushing down standards for most, while making room for yet more luxury developments in which the super-rich can rest their surplus capital. There are over 700,000 empty houses in Britain, 80,000 of them in London. In recent years, hundreds of thousands of half-built homes have been demolished in order to preserve high prices, but there are signs that the housing bubble is starting to collapse. Investors are pulling out of London’s Battersea development, which has recently cut £2m(!) off the price of its top-end suites. As wealthy capitalists using London property for investment purposes start to flee, we might hope that housing prices will begin to drop. Given the fortunes at stake, however, we can expect to see our rulers try every trick in the book to keep prices high. 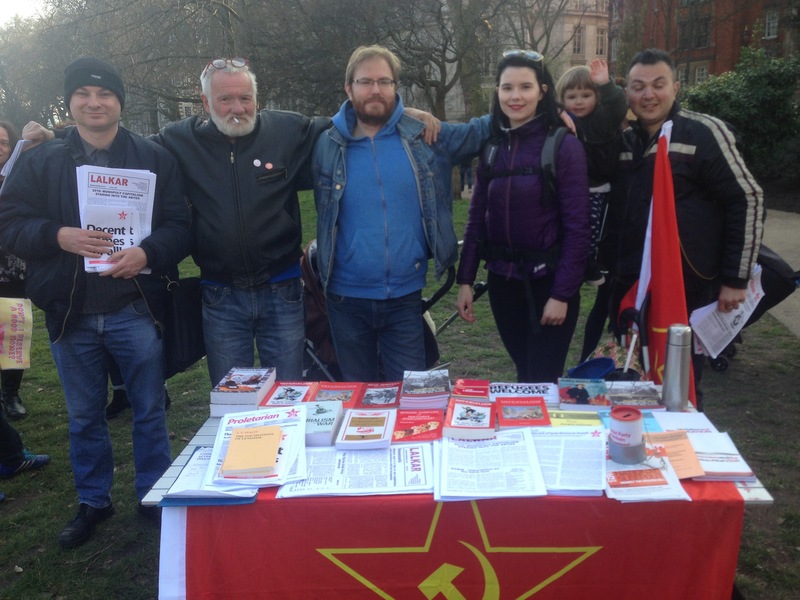 The CPGB-ML holds that houses should be provided as homes for people, not as investment opportunities for billionaires. The right to shelter, and to a family life, is a fundamental human right. By its utter inability to solve the housing question and meet this basic need of working people, the capitalist system is providing yet more proof that it is well past its sell-by date. 1. The immediate scrapping of the housing bill, which threatens hundreds of thousands with poverty and homelessness. 2. The end of the right to buy and the scrapping of all other schemes that fuel prices, create shortages and offer subsidies to landlords and developers. 6. 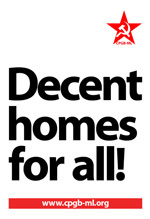 Guaranteed, secure and well-maintained social housing for all who want it, close to our places of work, and the abolition of divisive allocation criteria. 7. The introduction of a rent cap at 20 percent of minimum wage for all rented accommodation, and the scrapping of housing benefit (a subsidy to landlords that has helped to fuel rent rises). 8. The establishment of residents’ management committees to oversee planning and maintenance and ensure that all workers have access to adequate space, necessary amenities and decent facilities, including having access to usable and pleasant outdoor spaces and community halls.